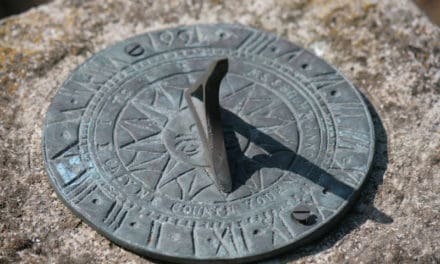 By necessity due to time, we ended the last episode in the middle of recounting Luther’s great conversion experience, where he realized the righteousness God requires isn’t one borne of good works, but is the righteousness of God Himself, which He gives freely to those who put their faith in the atoning work of Christ. Luther later wrote that he realized he wasn’t he first person to believe that. Many of the saints of yore had come to that realization. So it wasn’t salvation by grace through faith that initially set him at odds with the Roman Church. What got Luther in trouble was what came through the crack in his thinking made by that realization. If the Church was wrong about something as central and important to the Faith as how to be saved, what else might it be wrong about? The more he studied Scripture, the more he realized the Church had gone off the rails in many ways. The most obvious and egregious, to Luther’s mind at least, was the sale of indulgences which at that very moment was going on in Germany. Since we covered the idea of indulgences in Season 1, we’ll skip it here. Suffice it to say Luther regarded the sale of indulgences as a prime example of the abuse of spiritual authority. It seemed criminal to him that church officials would hold out the false hope to poor & illiterate peasants the idea that by buying a script of paper they’d have their time or a deceased loved one’s time in purgatory lessened. Luther was so incensed he went on a campaign in Wittenberg to make sure no papal rep ever came there to offer indulgences to the citizenry. But when they set up shop in a nearby town and the people of Wittenberg headed there to secure their script, Luther ramped up his complaints. Where things took a decided turn is when he decided to go public with his criticism by posting them on the Castle Church door. Church officials and the pope stood to lose a lot of money if indulgences were nixed. They couldn’t have some firebrand German monk running around poking holes in the theology of indulgences. Of course, it wasn’t the monk that was running round, it was his words, widely reproduced on the new printing press, some of which seemed to be devoted to churning out Luther’s prolific writing. It didn’t take long before the Church realized it had to answer Luther’s growing list of charges. His assault began by attacking indulgences but quickly morphed to far more weighty theological matters. Luther proved himself an erudite and persuasive writer. Luther first made the case for evaluating Church teaching based on the authority of Scripture rather than Tradition. 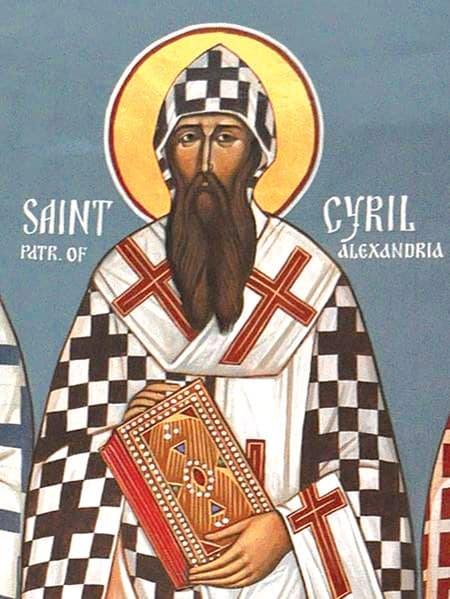 Tradition was valuable, he argued, only in so far as it was a faithful witness to God’s Word. When popes and councils take positions manifestly contrary to Scripture, as they sometimes did, necessitating a follow-up council, it was God’s Word that was to regarded as the final court of arbitration. And while the learned, teaching authority of the Church was to be regarded with respect, it was up to each individual believer to determine for him/herself what God’s Word said. If John Ploughman read in the Bible that there is One God and He alone is to be worshipped, no church official, no matter their title or how big their hat, could command him to believe something else. Roman apologists tried to poke holes in Luther’s positions but found it difficult when all they could do was keep appealing to a Tradition Luther had moved many to distrust. And his ideas just kept coming. 1520 was an especially productive year. Beside a flurry of pamphlets, he produced 5 books. A Treatise on Good Works showed how faith in Christ was, in the narrow sense, the only good work God expected from repentant sinners. Any additional work the believer could do that God esteemed as good was enabled by God’s grace. 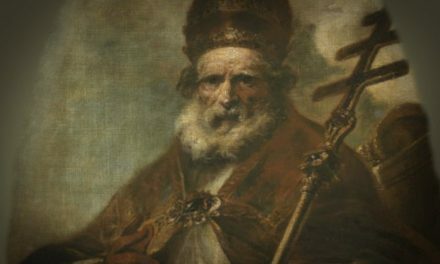 The Papacy of Rome claimed the pope was Anti­christ because, instead of leading people to Faith, he obscured the Gospel. His Address to the Christian Nobility of the Ger­man Nation was an ap­peal to throw off the spiritual, economic, and political tyr­anny of Rome. Babylonian Captivity of the Church declaimed the entire sacramental system of the Roman Catholicism. Luther could find only 2 sacraments commanded by Christ in the Gospels – baptism and Communion. These 4 books were polemics aimed at the Roman Catholic practice of Christianity. The 5th work he produced in 1520 was titled, The Freedom of a Christian. It’s tone was very different. It was an attempt to explain how believers were saved apart from works, but for them. Everything Luther wrote was immediately in demand. So the presses kept pumping out book after book. That’s what found their way to that table in that hall in Worms when Luther stood on Trial before the Emperor a year later. The Pope & Emperor’s official rejection of Luther’s ideas at Worms meant they thought, the end of that troubling chapter. Obviously! I mean, that’s what history had proven time and again. But not this time. All Worms did was to give birth to a movement that took of from Rome. Prior to that, the Western Church had shown a remarkable flexibility to keep reform movements within itself. Luther and his supporters broke that mold. Not long after Worms, while in hiding at Wartburg castle, Luther came up with a new order for a church service. Then he translated the New Testament into common German. In 1525 he married the ex-nun Katherine von Bora & he railed against rampaging peasants who confused spiritual freedom meant permission for social anarchy. Luther, drawing heavily n the 4th C Church Father Augustine, put together some thoughts on the human will to refute those being promulgated by the humanist scholar Erasmus, whose recently completed Greek New testament was re-making Biblical studies. Luther’s ideas of what the church was and should look like slowly took shape. It no longer needed a priestly caste to aact as mediator between God and man since Jesus had already served that role. The veil had been torn. Priests only served to sew it back up. The final 20 yrs of Luther’s life were not as packed with drama as the first 8 after he posted his 95 theses. It’s safe to say, Luther was both the most re­vered and most hated in Europe. He continued to write, mostly sermons and Bible commentary. His favorite work was the 1529, Small Catechism. Using a simple Q&A format he ex­plained the Ten Commandments, Apostles’ Creed, Lord’s Prayer and several principles for Christian living. Also in 1529, Luther engaged in a debate with the Swiss Reformer Ulrich Zwingli at Mar­burg, in SW Germany. They agreed on most points, but fell out on the meaning of the Communion. Luther held fast to the idea that Christ was truly present in the elements while Zwingli regarded them as merely symbolic. Inability to resolve that issue in a belief and practice that would unite the two, it became Clear there’d not be a single Protestant Church to offer Reform in the West. There’d be several Protestant churches. In 1530 Luther’s col­league, the brilliant but less loquacious Philipp Melanchthon, presented a list of Luther’s theological convictions to special court at Augsburg. A document was drafted form it that was signed by several of the princes in attendance. This Augsburg Confession became the constitution for the Lutheran church throughout Europe. Four yrs later & after a decade of work, along with help from other scholars, Luther finally finished his translation of the entire Bible. That Bible, rendered in the common German of the time, became more important to Germans than the King James Bible was in England. It became the standard for modern German. Because Luther was revered by so many, watched closely as a pattern for how a soul set free lives, something as simple as his marriage and family became a new template for human relations. Martin and Katie, as he called his wife, often had students and guests at their table for meals. They’d eat and hold forth on all sorts of topics, Katie contributing her keen intellect and wit as oft as Martin. The ease with which husband and wife communicated with each other, and the mutual respect they held each other in transformed many people’s ideas about what a happy home looked like. Church historians find Luther an unstoppable dynamo who single-handedly reshaped the Church and his time’s conception of Christianity. Roland Bainton, one of the best of Luther’s biographers, said Luther did in Germany by himself what in England it took William Tyn­dale, Thomas Cranmer, Hugh Latimer, Isaac Watts, & decades of theologians to do. On average, Luther pub­lished a treatise, sermon, lecture, or commentary every 3 weeks. But listen, Luther’s story isn’t all roses and peach pie. The man cannot be regarded as a model for deco­rum. Once he felt safe behind a row of supporting German princes, Luther was often blunt to the point of being crude. He oft penned things that embarrassed his supporters as much as enraged his opponents. Hey, sounds a bit like a modern national leader on Twitter! 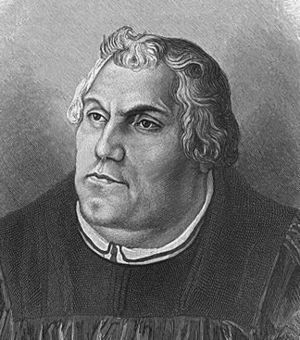 For example, when parents began withdrawing their children from school because they no longer trusted the church to educate them, Luther wrote such parents were, “shame­ful, despicable, damnable parents who are no parents at all but despica­ble hogs and venomous beasts, devouring their own young.” On more than one occasion, Martin counseled civil rulers with troubled marriages to go ahead take a second wife. He justified that by pointing to kings of ancient Israel. We’d also have to say Luther was a troubled soul. He was constantly harassed by emotional turmoil, doubt, & depression. A modern might wonder if Luther was a manic-depressive. His rapid shifts of mood were legend. And gauged by his writings, he was something of a hypo­chondriac. He commented often on digestive problems. While there were times when Luther exhibited deep compassion & a profound humility, there were other times he readily admitted his desperate need of grace. He pretended to be no saint. Nowhere was on that more on display than in his grievous episode with the Jews in 1543, 3 yrs before his death. In the most extreme language, Luther called for the rulers of Germany to confiscate Jewish wealth, then expel them. His words were resurrected by an out of work Austrian artist nearly 400 yrs later and used to justify the Holocaust. Luther was certainly a flawed vessel through which truth flowed, but there was no gainsaying the power of that truth. More than anything, it was Luther’s vision of God & his grasp of The Gospel that turned history into a new course. The moment of Martin’s actual conversion was a long time coming, but once effected it had a remarkable impact. Those who were able to follow Luther’s chain of reasoning out of a works-based system of religion into an intimate relationship with God based on His grace, discovered what he had – God’s eternal “Yes” for those who come to the end of themselves and cast themselves utterly on Him. Luther put it this . . .
Where man’s strength ends, God’s begins, provided faith is present and waits on him. When the oppression comes to an end, it becomes manifest what great strength was hidden under the weakness. Even so, Christ was powerless on the cross; and yet there He performed his mightiest work and conquered sin, death, world, hell, devil, and all evil. That’s how all the martyrs were strong and overcame. So too, all who suffer and are oppressed overcome. Luther’s last written words summed up the es­sence of his vision of God. Closing out a brief essay he moved from Latin to German: “We are beggars. That’s the truth.” But Luther penned that not in despair. He knew the cross meant God heard the beggar’s cry.